If you’re looking for some tongue-in-cheek, slightly ironic wall decoration, look no further than Cardboard Safari. 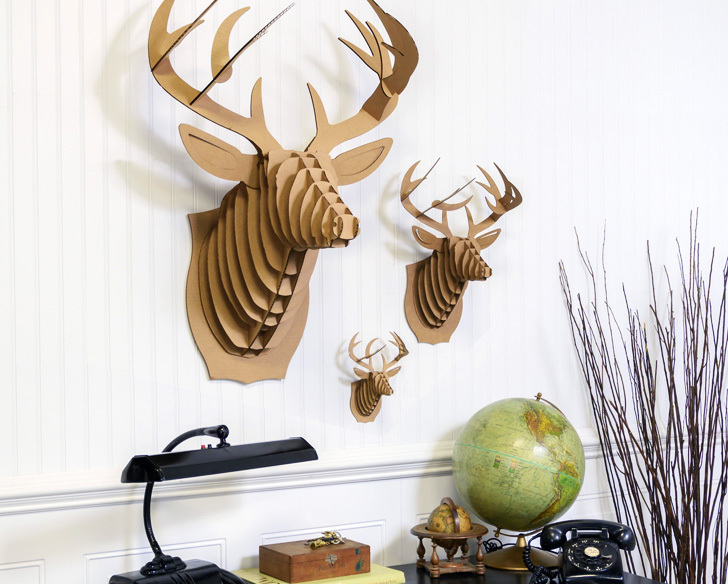 The Charlottesville–based company creates animal busts to hang on walls like hunting trophies, only without injuring any living creature: they only use sustainable and recycled materials to bring their designs to life. The animal heads come in a variety of different species, ranging from deer, moose, and bison to giraffes, lions, and warthogs. Although most are only available in natural cardboard or white hues, some also come in black or red, or even printed patterns: who wouldn’t want a floral unicorn head on their wall? In addition to their signature trophy heads, Cardboard Safari offers full-bodied animals and specialty pieces for holidays like Halloween, which is just around the corner! Check out their seasonal selection of home decor pieces to help spook up your place this month: they have layered cardboard skulls, as well as wreaths of skulls, of pumpkins or colorful Dia de los Muertos sugar skulls. Each item is made from recycled cardboard and arrives with assembly instructions. Additionally, the cardboard animal heads are laser-cut for precision and flat-packed to make shipping easier and less wasteful. If you're looking for some tongue-in-cheek, slightly ironic wall decoration, look no further than Cardboard Safari. The Charlottesville–based company creates animal busts to hang on walls like hunting trophies, only without injuring any living creature: they only use sustainable and recycled materials to bring their designs to life. The animal heads come in a variety of different species, ranging from deer, moose, and bison to giraffes, lions, and warthogs. 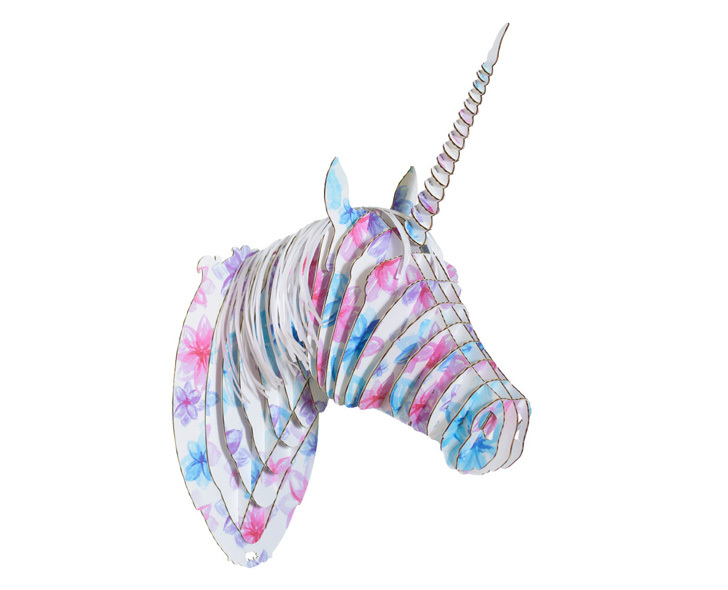 Although most are only available in natural cardboard or white hues, some also come in black or red, or even printed patterns: who wouldn't want a floral unicorn head on their wall?